Wrap your presents in pizazz this holiday season with bright, colorful designs from Bubble Pop! Bubble Pop is more than just a bubble wrap. 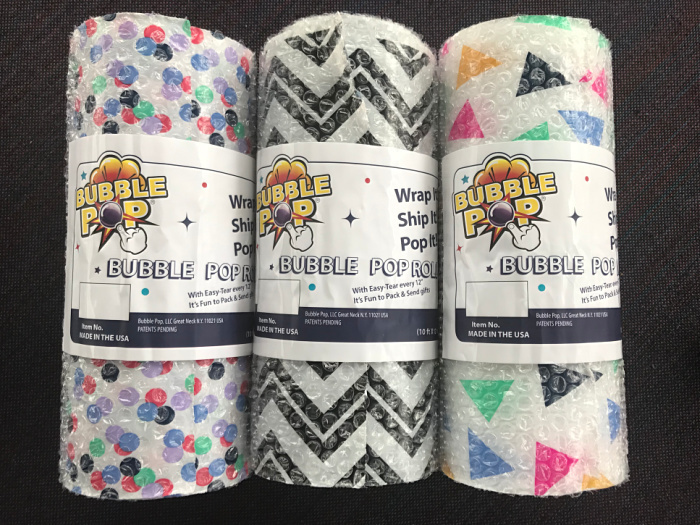 Bubble Pop is an innovative packaging solution bringing a creative and playful twist to a classic favorite, bubble wrap, with the application of patterns, colors and design, available in a variety of sizes for multi-use projects and endless, addictive fun. Fun as well as functional. How about wrapping Christmas gifts in Bubble Pop this year in lieu of traditional Christmas wrapping paper? Imagine the fun of opening the present AND the delight of the present itself. It is like two presents in one! Do you have some creative ideas that you can come up with using Bubble Pop? Leave a comment below telling us your thoughts. Stay connected socially for the latest design and sales info Bubble Pop has to offer. What a cute and imaginative item to have as gift wrapping. It would be half the fun of opening the gift –especially young children.